Lawyer specialized in international criminal law and human rights. Passionate about advancing human rights and ensuring accountability for egregious crimes Angela has focused on seeking justice for victims and promoting and protecting human rights. 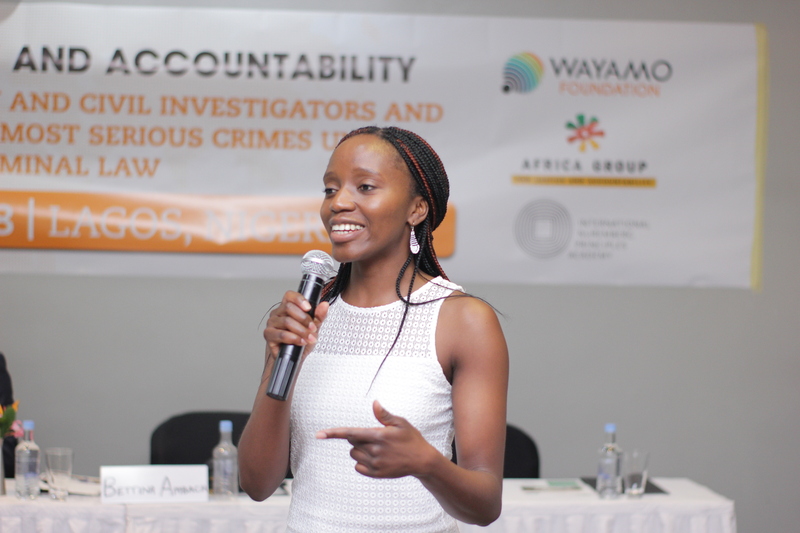 With experience at the International Criminal Court, the Southern Africa Litigation Centre and the Institute for International Studies in Criminal Sciences (ISISC) Angela has worked in Italy, The Netherlands, South Africa, Zimbabwe and is currently with the Wayamo Foundation. 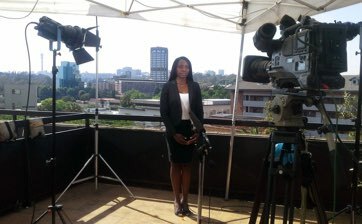 Angela has experience in strategic litigation, advocacy, research, writing and public speaking. 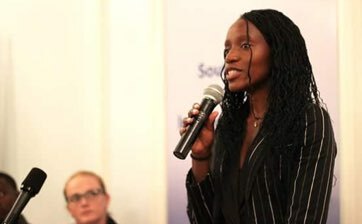 Understanding the power of sharing and learning from others, Angela has also focused her efforts on sharing her experience gained in the never ending fight for justice. 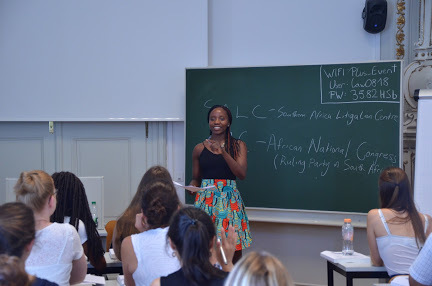 Through presentations, guest lectures and publications, Angela has worked to ensure that affected communities, students, activists and other lawyers have access to the information they need to make a positive impact and to use the law in an innovative and human rights oriented manner. If not the ICC what else is there? 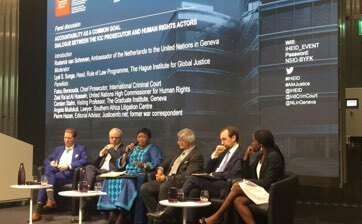 International Criminal Court: Accountability for all? 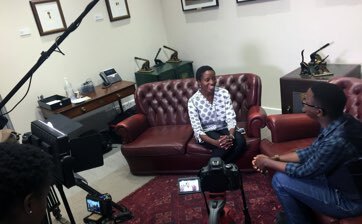 Angela Mudukuti speaks to Charles Adeogun-Phillips, Former lead International Prosecutor, ICTR. Angela Mudukuti speaks to Akingbolahan Adeniran, Rule of Law Advisor to the Vice President of Nigeria. 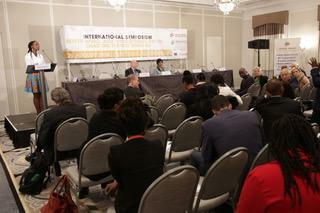 Angela Mudukuti speaks to Navi Pillay, Former UN High Commissioner for Human Rights. 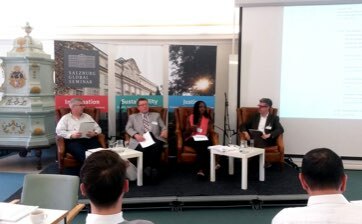 Angela Mudukuti speaks to Christian Wenaweser, Ambassador of Liechtenstein. 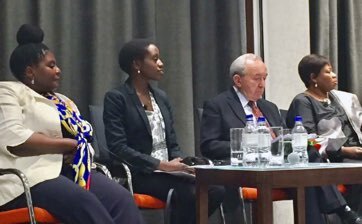 Angela Mudukuti speaks to Richard Goldstone, Former ICTY and ICTR Prosecutor.